Bookmarked your level to try out, Warriorpoet897! Wow, you have many stars. Impressive. Like a lot of people, his first crack at a level involved throwing a whole bunch of stuff at the player all at once. It had about three or four separate chunks, and he could beat any one of them at a time just fine, but he got frustrated when he tried to upload it and the game forced him to try to beat the whole thing in one go. I hunted up WolverineJon's World 1-1 and told him to try that. He did, and he liked it. I pointed out how it only made the player deal with one thing at a time and how it had little "breather" sections in between challenges. He especially liked the checkpoint in the middle, so that he didn't have to play through the whole first half again every time if he died on the latter half. He's really excited to unlock checkpoints so he can start putting them in his own levels. He wound up getting stuck on Jon's 1-2, but I think they gave him an idea of how a well-designed level slowly introduces new elements and ramps up the challenge. 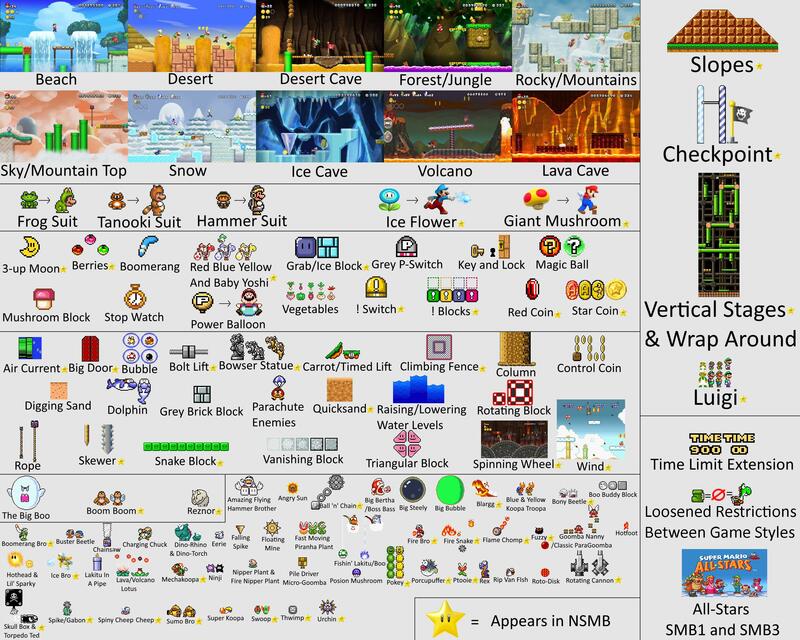 Most of the levels I made back when I was actively playing are, if not quite kaizo levels, at least very challenging and intended for experienced Mario players who know all the mechanics and have a lot of hand-eye coordination. When I get back home I'm excited to start making levels specifically for my nephew to see if I can suss out exactly what level of challenge he can handle. Man, this game is still so great. I'm honored that you thought to use my levels as examples of good design! Thanks, hbi2k! I should get Mario Maker out again one of these days. It would be fun to play through Farscry's complete game again, among other levels! I’ve been itching for this since I made a level randomly a couple of months ago. I miss the Miiverse functionality this game used to have.